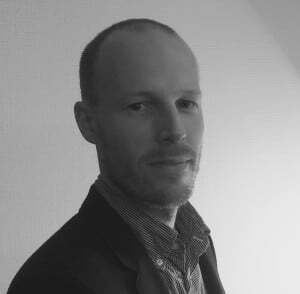 Erik van der Marel is a Senior Economist at ECIPE. His areas of expertise are in services trade and political economy of services trade policy, Russia’s trading patterns, plus total factor productivity (TFP) and regulation including trade policy in developing countries. His research has been concentrated on empirical issues such as analyzing patterns of services trade economics, productivity and comparative advantage, but also on trade policy such as regulation, the GATS, PTAs, and NTBs in developing countries. Prior to his appointment at ECIPE, Erik was lecturing at the London School of Economics where he taught International Political Economy and The Political Economy of International Trade at post-graduate level. Before the LSE he was a Research Fellow at the Groupe d’Économie Mondiale (GEM) institute in Paris at Sciences-Po. In the past, Erik also gained various professional experiences as a consultant at the European Commission (DG Internal Market) OECD, APEC and as visiting researcher the World Bank. Furthermore, he has also worked for one year at the Euronext-NYSE stock exchange as a strategic research analyst. Erik received his PhD in international economics from Sciences-Po Paris under the supervision of Professor Patrick Messerlin and Bernard Hoekman, specializing in links between regulation and productivity, comparative advantage in services, and the heterogeneous trade effects of services regulation. His current work includes developing the Services Trade Competitiveness Diagnostic Toolkit for the World Bank’s Trade Department for which he also constructed empirically a tradability index for services for trade policy makers. Other recent trade policy work for the World Bank currently focuses on Bulgaria, Russia and Pakistan. Erik has been teaching trade at the ULB since 2014. To access personal website of Erik go here. Services in the European Union What Kinds of Regulatory Policies Enhance Productivity?